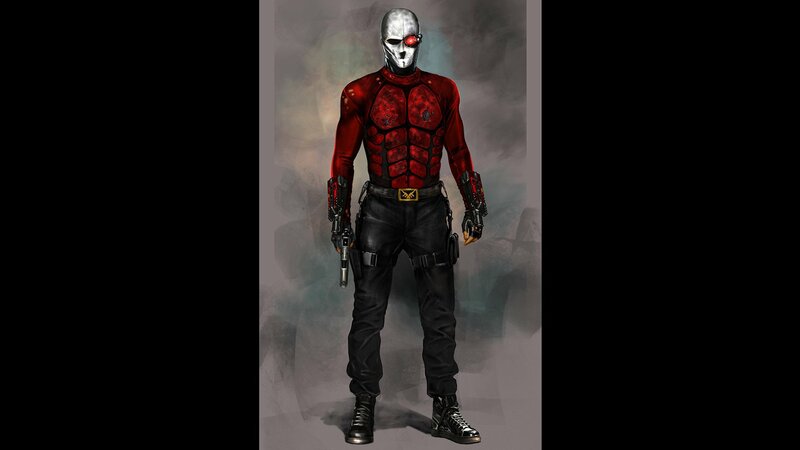 'Suicide Squad' Concept Art ~ Deadshot. VUDU's exclusive look at 'Suicide Squad' concept art.. HD Wallpaper and background images in the Suicide Squad club tagged: suicide squad 2016 movie film deadshot concept art artwork vudu photo. This Suicide Squad photo might contain surcoat, 외투, hip boot, thigh boot, 보호 의류, and 보호 복.